Opportunity! You might have heard this word many a times and must be waiting for one. You must be wondering what opportunity is? And how can I come to know about this? Answer to the above question is very simple. Opportunity is an appropriate or favorable time or occasion. It is a situation/condition favorable for attainment of a goal or a good position. It is a chance or a prospect for advancement or success. It is very important to know when and how opportunity comes and it is equally important for anyone to foresee the same and work in same direction so as to utilize and make full use of it. At times it becomes very difficult to know how opportunity comes and how to take advantage of the same. But if u can envision that, then probably half of the work is done and you will only need to work on the remaining half. The biggest question that arises now is how to foresee good opportunity? What shall we do so that we get good opportunities? Answer to the question is simple, even if you are doing business or a salaried employee. Broad Minded– It is very important to be broad/Open minded as it helps you to understand the situations in a better way and come to know more about different things. If you are narrow minded then you don’t give room to your mind which will close most of the doors for thinking. If you give room to your mind to think, then probably you can get new ideas and you can work on the same. It is always wise to understand different people and respecting their thoughts as well. You only can learn and grow by doing so. If you become stubborn then you probably don’t grow and become contended in your life. The above quote is true, it’s better to become broad minded from the beginning than to wait for an adverse situation and change the mindset. If you take efforts to change it from the start then gradually it will become a habit. Eyes and Ears open– One of the very important ways to attract opportunities is to keep your eyes and ears open. You never know from where a good opportunity may come and you can grab the same. If you keep your eyes open then you can see if there is something which can help you in your future course. If you keep your ears open then you can hear about a good opportunity from someone and make use of it. Hard work– Hard work is very essential to attract opportunity. It is very simple if you work hard and if you do good in your activity then good things are going to come to you and you will get desired fruits for the same. If you don’t work hard and only wait for an opportunity then probably it’s not going to happen. To get something you need to work hard and in right direction. The most essential character to success is hard work. Let’s take an instance, if you want to do a business and you don’t know what business to do and from where to get finance? If you will wait for an opportunity to get you an idea and money to start a business than probably it’s not going to happen. But if you go out and do market research try to find out demand of a particular good or service then you get an opportunity to start something. If you go and meet investors and visit different banks than probably you can arrange finances. Sitting ideally at home gets you nothing and you end up waiting for an opportunity and fail. Desire – All above qualities are very important but desire to work and foresee an opportunity is equally important. If you desire to find a good opportunity then it is very to do that. If you don’t desire then probably you will ignore opportunities coming to you and will end up getting nothing. Success in life, be it in any task or field brings happiness and once reached must be won over and over again. It’s not easy, but in the difficulty lays the opportunity, its rewards are great, but it belongs only to those brave and courageous souls, who care to have the faith in themselves. Who recognize and opportunity when it comes their way, grab it, make the most of it and continue to move forwards towards success. The winner says- It may be difficult, but it’s possible. The loser says- It may be possible, but it’s difficult. Now which category do we want to belong to? Winner or loser? One thing is certain, that if a person is willing to brave the hazards of the road, he will grow strong in the journey. Only the strong, courageous and the determined, find success in their journey. Such people don’t explode into success; they GROW into it. A successful man once said “When I can run, I will run; When I can walk, I will walk; When I can only crawl, I will crawl; I will sat least always be moving forward.” Successful men always move forward and grab opportunities. The secret of being successful is grabbing the opportunity and make full use of it. I have read the ‘One Minute Manager’ (Ken Blanchard & Spencer Johnson, Berkley Books) at various times during my life and each time it is with a new perspective. The first time I read it was when I had just started on my career. Frankly, I was a bit bored by the book and I missed the whole point of it. Then after some years, I again read the book. This time the concept intrigued me. Everything done in a minute! Then more recently, I read it again and this time I got the idea and it was no longer intriguing, but downright enlightening. It seemed the most efficient way to do things – in the shortest possible time. The purpose of this blog is not about the book as such but to extrapolate on the concept that is explained in the book and what we can learn from it. To those who haven’t read it, the book is essentially about managing people, who are the most important resources in any organisation. If we extend the learning from it, you can also interpret it as getting the results you want in as little time as possible. As a manager, you should not be spending too much time in doing things – whether it is setting goals, praising your employees and chiding them. The one-minute time is not that important. What is important is how much time are you spending on doing things? How fast is your reaction time? Are your goals so complicated that your employees get confused? I am sometimes amused reading the mission and vision statements by companies. It runs into several sentences and statements. You have to be able to explain your vision and mission in one sentence. If you are putting in too many of them then you have lost focus. We have lost the art of simplicity. In fact, we like making things sound complicated because we think that makes us look clever. If what you say sounds too complex to be understood by others, then the problem is not with their understanding but your ability to explain and communicate. Since our thought processes are not simple, the way we go about doing things is not simple. Our corporate structure also reflects our complex thinking processes. India’s retail king, Kishore Biyani is a staunch advocate of the simplicity theory. He holds the idea that an organisation should have as few layers as possible, in order to simplify the decision-making process. The more layers, the more time is spent in transmitting information. The essence of any good manager and management principles is being ‘people friendly’, that is, treating employees with care. Finally, organisations and corporations are all about people and if they are not happy, you cannot have a happy organisation. The root of all enterprise is people; they are the most important resource. Next comes the processes and systems and then we have the purpose for which the enterprise has been set up. It doesn’t matter if an organisation has two people or 200 people. If their attitude is not right then it doesn’t matter how innovative or how novel the venture is; it will not work. In the book ‘One Minute Manager’, the manager takes just a minute to praise or reprimand his employees. Extrapolating on this idea, we can conclude that timely action is of the essence. React to events – positive and negative – as soon as they occur. Events do not wait for you. Sometimes you also need to anticipate events and then take action accordingly. Managers and senior team members in corporates spend a large amount of their time in meetings. Those who have been part of these meetings know that there is a good amount of time wasted in these meetings. Most meetings are inconclusive and some of them have no agenda at all. If you were an efficient manager, you would not need these meetings. If you have conveyed your instructions properly to your team, they would not need to speak to you frequently, unless it is to update you on their progress – and does it require hours to do that? As a team member, how much time would you really need to explain to your boss how much of your goals have been achieved? Even meetings need to be efficiently held and should be productive. The meeting agenda should have the objectives clearly laid down. What is the purpose of the meeting? What are the items to be discussed? What are the actions points and by when should they be achieved? Finally, what are the conclusions reached? People often have meetings to raise issues but they come up with no solutions. This is a wasted meeting. Some people hold meetings because they claim that is the way they interact with team members. Even if this is true, you have to keep such meetings short. Large projects need to be broken down into smaller ones with short-term goals. All the short-term goals lead to medium-term goals, which in turn lead to longer-term goals. Simplifying things and making them into smaller achievable targets is the way to introduce efficiencies in the system. If your systems and processes are efficient, then employees can perform at peak efficiency and be more Processes and systems in a company are meant to help employees. They are not to create roadblocks or hinder them in the course of their duties. Keep them simple so that it is easy for employees for them to follow it and most importantly, understand why they are there. I have seen some organisation where their workers’ manual, run into several pages. Do you really expect employees to remember all that and work according to it? What’s wrong with a one-page set of instructions? As aspiring management students and future managers, you have to internalise this idea in your DNA – simplicity is of the essence. I remember an incident some years back when I had just joined my first company. Our Big Boss had come all the way down from Delhi to look at us minions in the far-flung branch office and flex his muscles, so to say. In his typical brash style he was standing one evening, one leather-shod foot up on a chair, the other planted down on the floor, while he was aggressively beginning to take to task our hapless branch manager, who was trying to bear it. For a second the Boss looked astonished and then he started to smile. That broke up the tense atmosphere. 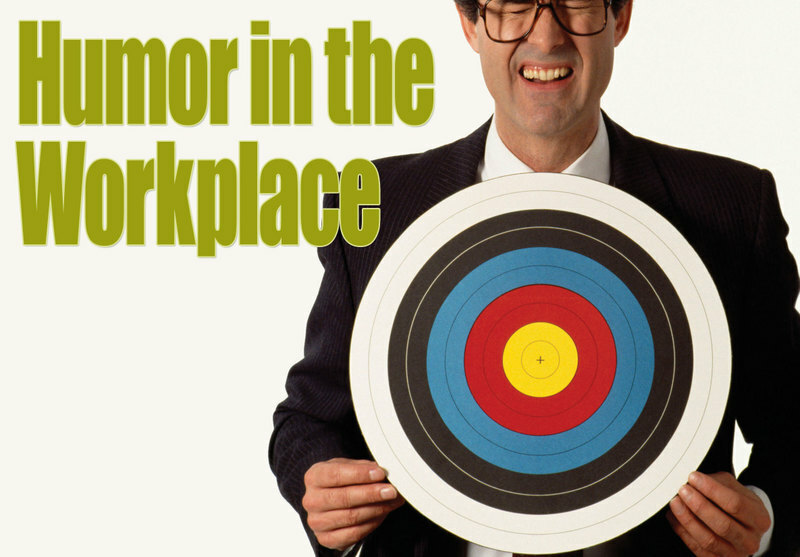 It was a huge lesson to me and one, which I have never forgotten – the power of humour in handling tricky situations and indeed its importance in the workplace. I’ve worked in many places since and I’ve been very lucky that most of them have been places where humour and laughter were encouraged. Those whom I’ve worked with, including my bosses, were easy-going people, though very committed to their jobs. They had the rare ability to laugh at themselves. I have also been fortunate enough to work with teammates who were never too busy to respond to a joke or laugh even when we were working under tough deadlines. Of course, there have been one or two places, which were too stuffy and I was never comfortable there and could not stick it out for more than a few months. But, I have found, that humour is not, in fact, tolerated in many offices much. People tend to take themselves and their jobs in a deadly serious manner. Laughter is taken as a sign of frivolity. Any humour consists of the unkind one where people are often laughing at others, or at the expense of others. Do you know that humour actually makes people relax? It also relieves stress and employees tend to make fewer mistakes in such an atmosphere. Evidence has shown that humour invigorates and makes people more humour doesn’t mean only cracking jokes or sending around those chain mail ‘forwards’ of internet jokes that are circulating forever. It means being able to keep a stable perspective on things; seeing the lighter side of a situation; knowing that being a few minutes late on a deadline will not really push the universe off its course. Humour also has the ability to unite people and it is one of the best ways to create teams that can work together in harmony. Have you seen the way old friends laugh and bond when they are together? If we can do it with friends, why not with our colleagues at work? Offices rivalries are notorious and often have the potential to escalate into disruptive situations. However these kind of hostilities can be defused if people have a sense of humour and the principles concerned realise that it is after all, not a ‘life and death’ matter. A boss with a sense of humour will be better able to lead a team than one who takes her job and herself seriously. This is because she becomes more approachable and her team members feel at ease with her. They feel able to take their problems to her. Remember that even a strict boss can have a sense of humour – as I said before, it’s an attitude. Conflict situations in the boardroom or at the workplace can often be resolved with a sense of humour. It helps to ease tension, lessen pressure and puts us in a better mood. This makes us more receptive to the opinions and viewpoints of others and enables us to meet them halfway. Creativity and innovation can be stifled in an atmosphere where there is a constant pressure to adhere to deadlines and meet targets. Humour can actually help to dispel the sense of undue gravity and it is necessary because the mind has to be free of fear. He however said it with a smile and that took the sting out of his answer. The rest us cracked up at his reply and that sort of eased the whole situation. It put us in a better frame of mind to lose that holiday. The first team that I ever led was a young bunch of raw recruits and the kind of job we were doing required us to be alert and fast. There was very little scope for making mistakes and learning from them and the only way I could ensure their enthusiastic co-operation was by keeping the atmosphere light and taking away the psychological pressure. By not stressing too much on the critical nature of their work, the first few difficult weeks passed off uneventfully. Some people have a natural sense of humour and for those who don’t – I think you need to cultivate it. It definitely pays to have it, especially when you are at the receiving end of a tongue-lashing. Isometime wonderthat wasGandhiji merely a freedom fighter,or a national leader, or a revolutionary, or a smartstatesman? It totally depends on the way you analyses his life. You may have disagreements with many of his thoughts. But, all said and done, one cannot deny the fact that he was a super leader who changed the lives of billions of Indians in last century. It required some extra ordinary powers to fight against the British empire and bring freedom to this country and that toowith weapons like truth and nonviolence. I have always been inspired from Gandhji’s journey and attracted towardshis qualities of a leader. I have read his autobiography when I was 16 or 17. I believe he was a super leader, though I personally have some reservationsfor some of his decisions. It is very difficult to sit down and write about Gandhiji and his leadership skills as they are unquestionable.While writing this article, I feel that the steps and ways shown by Gandhiji are proving more and more relevant in today’s time where complexities have increased many a fold. Here, I have tried to do so and have noted down qualities which depict his great leadership skills. Gandhiji’s honesty and transparency were beyond question. His life was an open book. Barring few incidents in the childhood (which he confessed and corrected), he had never made any compromise whatsoever. I believe leadership starts from the very virtue of ‘honesty’. A dishonest leader never gets respect from his team members and he miserably fails to lead them effectively. Further, honesty automatically leads to transparency as honest leader has nothing to hide from anyone. Gandhiji had a solid willpower. After, his life changing experience of Pittsburg railway station in South Africa, he decided to fight against injustice. I believe India’sfreedom movement was not even in his mind at that time. His fight was against injustice only and he committed himself for this cause and fought for it. He decided one thing and stuck to it in every odd situation. The same continued when he returned to India. On his entourage across India, he observed and experienced the pain of injustice done to poor Indians by British rulers. And then he decided to start a mass movement to fight against such injustice which later on converted into the freedom struggle for India. One of the basic qualities of a smart leader is that he is around with talented people. He discovers talent and keep them with him on his side to discuss, understand,seek views on the variety of issues. He shares his dream with them and converts it in a one shared dream for the entire team. Gandhiji had army of super talented and highly skilled people like Jawaharlal Nehru, Sardar Patel, Rajendra Prasad, Maulana Azad and many more.He created rock solid team with such people. The team in a true sense was inspired by his dream and helped him in communicating his message to the mass. This teamcreated fire and wave for freedom fight acrossthe country.Gandhiji formulated strategies and his team successfully implemented them effectively across India. This made him very effective compared to any other leader in the world. I believe Gandhiji’s ability to communicate and stay connected with everyone and involving them was the key to success of our freedom struggle. As being a smart leader, he knew that it was very important to communicate his vision of free India to common man. Hence, he travelled length and breadth of this country and conveyed this message. He always travelled in a third class of train so that he could stay more and more connected with average poor Indians and understand their problems, communicate with them.Further, he also started magazines to reach out to large number of Indians with his vision. He used to write a lot of letters, regularly answered themto be more connected evenin his busy schedules. It is absolutely necessary for a leader to communicate his vision and convey message to team members. With this approach, team members feel that his leader is talking to him and it lifts up their morale. In today’s time, leaders are not able to reach to bottom of the pyramid because of variety of reasons and leave it to his subordinates. This does not give desired outcome as subordinates cannot share the message with same intensity and conviction as it was not their message. People always like to listen directly to the leader. 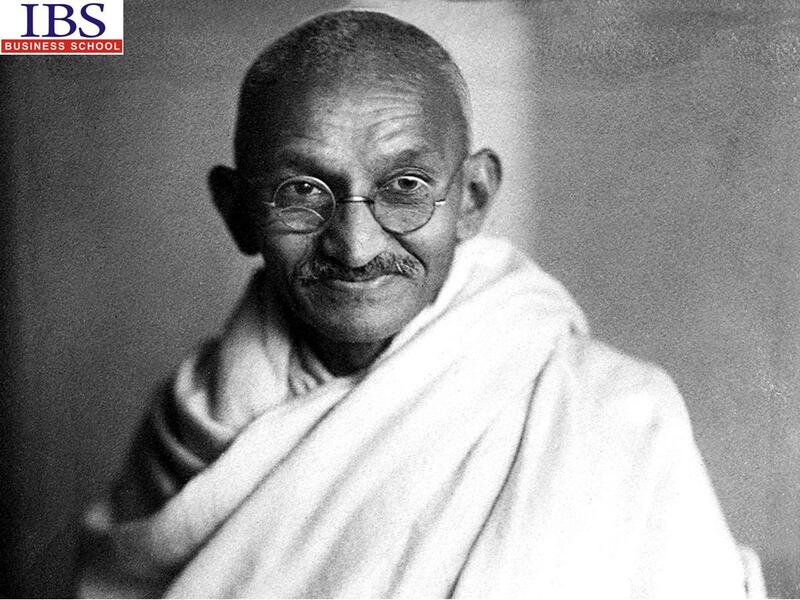 Gandhiji knew that it would require involvement of everyone in order to achieve success in the freedom struggle. Hence, he introduced “the swadeshi movement, charkha, picketing of foreign goods, Dandy march, Satyagrahs”etc and involved almost every Indianin his battle with all these programs. He made them felt that they are important contributors in India’s freedom movement. I can correlate the famous quote from Benjamin Franklin (one of the founding fathers of United States) in this regard that “Tell me and I forget, teach me and I may remember, involve me and I learn”. Hence, It is utmost important for a leader to keep his people involved and engaged in the process of achievement of ultimate goal. Gandhiji had a team of stalwarts. But these people were having their own perspectives. However, Gandhiji was able to resolve thesedifferences of opinions effectively and did not let the team break. Such an exceptional quality! And these differences were large in the magnitudes which only he could manage. When there are people, there will be issues. It is difficult to manage differences arising from people in today’s time and hence, it requires patient hearing, persuasive skills, open heart and honesty to solve them. It was absolutely sheer courage and strong determination to attend round table conferences, meet Britain’s kings/queens/viceroys in merely “dhoti”at that time. People laughed at him but he believed in one thought that “First they ignore you, then they laugh at you, then they fight you, then you win”.He simply put that as a representative of billions of poor Indians, he cannot afford to have lavish clothing. It provides us the most important lesson to us that we should be what we are. Sometime, we just fake it to impress others.The simple thing is to let our thoughts and actions do so. The above is a non-exhaustive list as Gandhiji’s entire life is a lesson for us. Gandhian thoughts are more relevant in future then past. Let’s try to follow and practice some of these lessons in our life. Seek out internships that require substantial work. Often small and medium-size companies, which can be notoriously understaffed, provide the best opportunities. Before you accept the internship, try to talk to former interns to get a sense of whether they found the experience valuable. 2. Do you really want to work there? Be sure you want a job with the company with which you’re interning. Interning gives you a chance to see if you’d enjoy working permanently for your internship company and how well you fit into the organizational culture. Once you’re convinced the employer is right for you, your enthusiasm — based on real-world, insider knowledge — will be a major plus in helping you land a full-time job there. Once you’ve decided you like the company culture, show you fit in. Demonstrate a work ethic that’s at the same level as regular employees.Show up with an eager, positive attitude each day. Come in early and be the last intern to leave. Dress at least one step above your current position. Take pride in each project you are assigned and ensure it’s your best work before handing it in. Although you don’t want to cross the line into being annoying, it’s important to have a grasp on your strengths and weaknesses by getting feedback from your boss.Seek input and feedback from supervisors and co-workers during your internship so you know how to improve as you go along. Show those you work with that you want to be the best you can be. Show that you’re always thinking ahead by anticipating others’ questions and needs. Do more than is expected of you to stand out among other intern candidates. Volunteer for additional projects when you can, and be flexible with your schedule for a chance to impress the team by staying late or coming in early.Taking on additional tasks, being flexible, and thinking ahead shows your dedication to your role and helps your supervisor and co-workers view you as an integral part of the team. Don’t be shy about asking questions, especially if you need clarification on an assignment. Carry a notebook with you at all times. Be energetic and alert, but don’t pretend to know something you don’t.Don’t be afraid to ask questions. It’s a great way to show your level of engagement and connect the dots. It will also help you obtain a rounded, realistic preview of a prospective employer and job so you can make an educate decision about your career options down the road. Learn unfamiliar software programs. Try projects that help you to hone skills you’ve never used or don’t use often. Observe the skills used by people in the kinds of positions in which you envision yourself working, and polish those skills. The wider your range of skills, the more valuable you will be to the employer. Within the first week of your internship, make an appointment with your manager to establish goals. Discuss projects you’d like to tackle and specific skills you hope to gain over the internship. Always have a positive attitude about the work, however menial it may seem to you. Once you show you can be trusted with small tasks, managers will give you more responsibility. Learn as much as possible by staying busy with projects and volunteering for assignments. Don’t overextend yourself, but raise your hand when a manager asks for help. Don’t stick just to your department, either; volunteer to work in other parts of the company so you can get an overview of as many as possible. Prove that you can meet the responsibilities of a full-time job. Be sure to keep a record of all the ways you’ve contributed during your internship and be prepared to present this list when you make your pitch to the employer for a permanent job. After you’ve finished a task or a project, write down any accomplishments you’ve had. Showing that you can produce results is a great way to move up at the company. Moving up is much easier if you have someone to lean on for advice and insight. Convert at least one of your network contacts within your internship into more than just a contact. Cultivate a mentor who can guide you in developing a strategy for obtaining permanent employment. Know what the organization needs and how you can fill those needs. Understand each product or service. Get to know the clients and customers the best you can. Learning this vital information will not only make you do your job better – you’ll have a clear understanding of how you can move up in the organization, too. Before the summer ends, get your colleagues’ contact information so you can send them thank-you notes. Network with them throughout the year, sending them casual e-mails asking about their work. If you performed well over the summer, they’ll think of you when a job opens up. 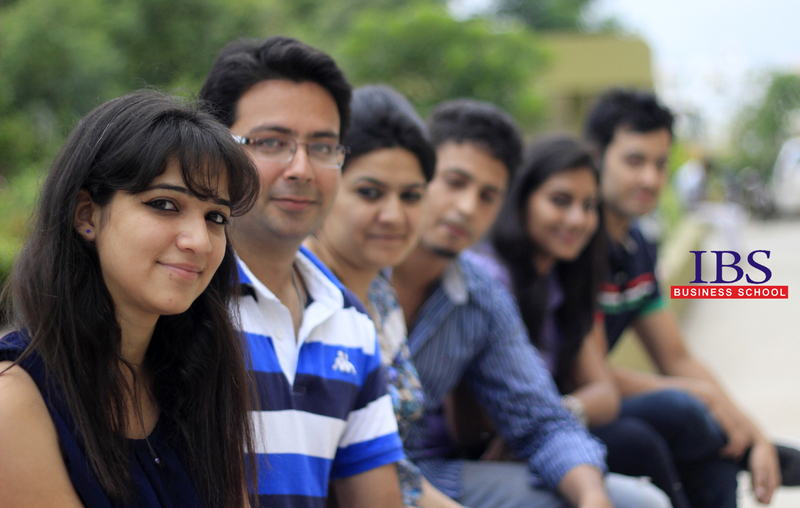 The past 10 years, I’ve always been noticing how college freshers are so obviously college freshers. They carry college IDs (just as if they were in school), full of excitement and nervousness on their faces (like a bride or groom); spend hours picking out their first day’s outfit, and super-duper excited as if they have achieved something in a big way. And why not…they actually have. I find all this a bit amusing but I can also empathise with their feelings as I also remember the excitement, anxiousness and remarkable amount of cluelessness that comes with being an IBS student on the first day. 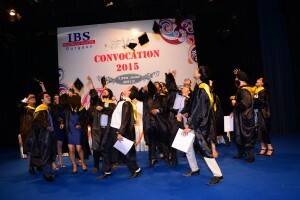 My first year of IBS @ Ahmedabad campus was certainly like a honeymoon period. I use the word “honeymoon” because that phase was so much fun in real life, when you meet and discover somebody new and fall in love and chase them. The excitement of the pursuit. That climactic final moment of ultimate togetherness. I still remember the day I reached Ahmedabad with my dad who came to drop me off at the hostel full of pride and thrill. I could see a dad that day who was feeling gratified pleasure that his son was being admitted into a prestigious B-school. That first year at IBS was full of clusters of what I wanted or what I applied for. There were some strange feelings in my mind but happiness mixed with anxiety were the most obvious emotions – happiness at being there and the anxiety associated with starting new things. Exploring the new city, new markets, fun places and lots more! To be part of a group that had the best of talent. Achieve grades with no compromise on fun. That’s just a whole lot of experiences right there. This experience helped me to improve and grow as a person – the man I am today. According to me, experience is perhaps the best cherished thing to offer in the first year of college. Let me recount some of my more memorable experiences and share them with you. Yes, I am talking about the groups or the people, whom you meet on the first day of the college; whom you think are just awesome and super cool!!! I would suggest you take a couple of weeks, and then make up your mind as to which group or friends circle you want to belong to. Sometimes, in a hurry to ‘belong’ you may end up doing things that can actually make you feel depressed. Look for friends with similar interests. Imagine, you love cricket they love football or you love dancing, they love trekking or maybe just watching TV!! Friends are important, but the right ones. So go slow, understand everyone. Instead of being Best Buddy or Friends Forever with one person you meet, try to mingle around with new people during dining, studies, or festivals. Remember you still have your school friends to talk to anyway. The first year is a unique time to reflect on your priorities. 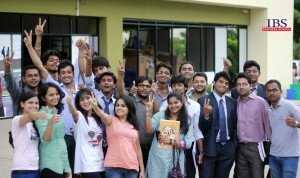 The first year is also full of ease where you have the right of making choice – of what you want to do. You have time to focus on what sort of person you would like to be. 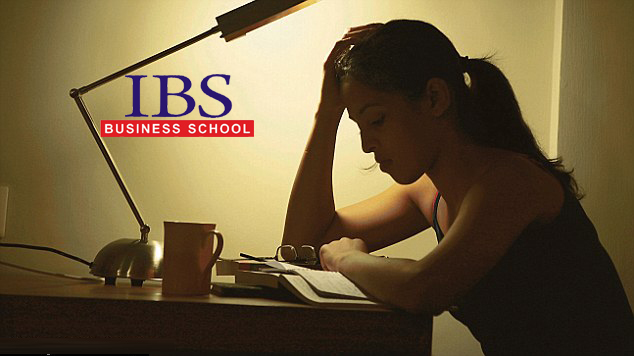 IBS events and the learning model works like a mirror where you can see your future reflection. I remember that the classes were not only challenging but also engaging. 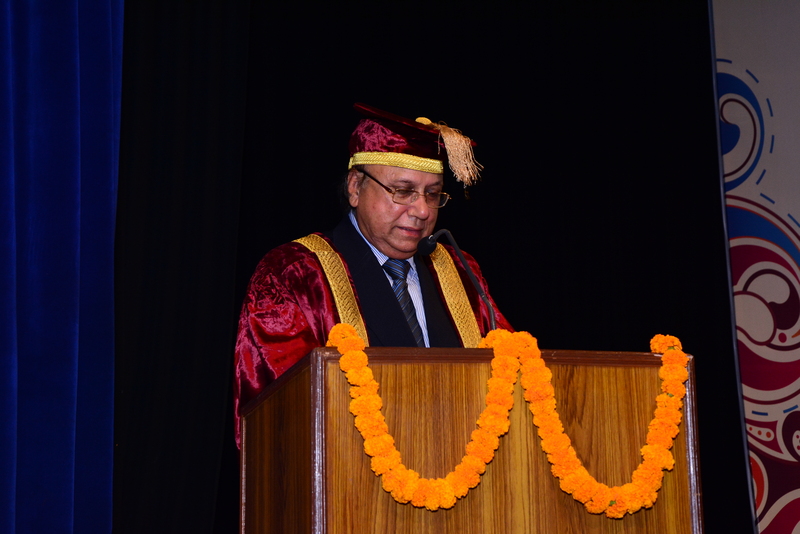 Everyone I met was tremendously intellectual and brought a diverse knowledge base that enriched my learning experience. By analysing your performance in various activities, you realise what matters to you. 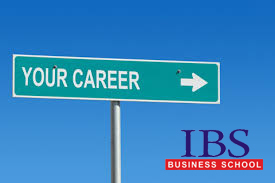 For example, when I was working on projects related to venture capital and private equity, it was IBS that helped me realize that I like dealing with the operational and strategic aspects rather than the investment side. 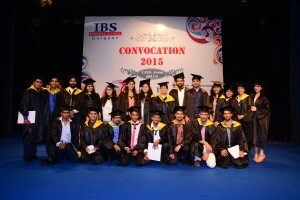 After one month, IBS Ahmedabad campus was like my home. I found I could do all my assignments and enjoy them too. My time management skills were getting better. It just took some time. We all want to run but remember we should know how to walk first. Yeah, the first year is a honeymoon period but full of struggle – new people, new dimensions, new home, everything is new except you. But, it is worthwhile as I found as it taught me a whole lot about myself. During the first year, you feel like roaming around and behave like a cool dude….but college is more than that, as you will soon realise. 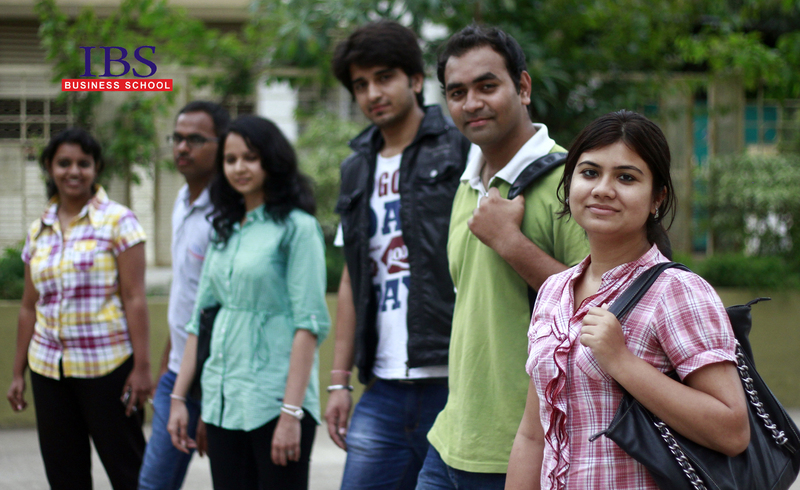 Before you enter college, you feel apprehension and feel that it is all hard work. I used to be confused when people used to say, “I love college”. After a few months, I too felt the same. Your campus is beautiful, it’s your best decision and you’ll constantly refer to your college as the best college EVER. Someday like me, you’ll hate the thought of missing the college and its endless opportunities and freedom in this competitive world. 1.Be ready to be inspired. Be ready to make Connections. Be ready to reinvent yourself. Be ready to Welcome the new world. My first year of IBS not only gave me what I wanted, it provided me with enormous experience, that I will cherish throughout my life. It’s an experience that I offer you all to learn from. However, it is your own experience that will be more valuable than my lessons learned. Everyone has a different story to tell and your experiences are the best teacher. Enjoy your first year!!! Keep sharing your thoughts. I thought it seemed like a tall order. The Future Group is a $2.5 billion diversified group, with several entities within its fold. Its core area is retail, but within that, it spans several segments of the industry sector – right from procurement of produce and manufacturing, through logistics to front-end retailing. But it looks like more people from the corporate world are thinking along the same lines. More recently, Hindustan Unilever top honcho Sanjeev Mehta also said something similar. “We want to have the soul of a small company where speed is the currency, bias for action is the norm, where people are empowered on the frontline and they are not risk-averse. In many ways, it is akin to a startup culture,” Mehta was quoted as saying in the Economic Times. HUL is a $ 5 billion company with a huge sprawling network that sells everything from soaps and toothbrushes to shampoos, personal care products, ready-to-eat food and so on. 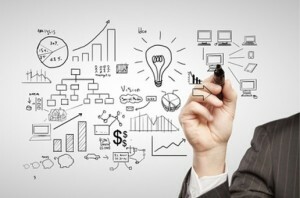 What are these guys thinking and why would they want to think like start-ups? Its like a middle-aged person saying, “I want to be like a teenager.” Well!! Let us see if we can make sense of what they are stating. You know when you hit the 40s and 50s, you tend to start slowing down. The energy and enthusiasm with which you approached life is lacking, as your body grows stiff and sluggish. Your joints creak and it is a chore getting out of bed and making your way to office – especially if the weather is too cold, too hot or rainy. Your steps have lost their spring and it is quite possible you will have some ailments. The flesh, so to say, is no longer as willing as you want it to be. The worst damages are however inflicted on your mind. Your mind is no longer as agile as it was and that’s natural – the years of baggage, all those years of experience and diminishing of your grey cells will have taken a toll. You have been through a lot and some amount of disillusionment has set in. You tend to be cynical about things; the gloss on your idealism has faded. There is a lot of ‘don’ts’ and ‘nots’ and can’ts in the way you think and speak. The middle-aged rot has set in and if you allow it to progress, the decline can be sharp. Just like us living creatures, a company too suffers from middle age. I can think of a very good example. During 2003-2004, analysts tracking software leader Microsoft remarked that the company had hit middle age and was showing typical symptoms. It had become bureaucratic – too many rules and regulations. It had a bloated workforce. Its operational structure had become so complicated that nobody knew who was reporting to whom. One person would find that she had several functional heads. Decision-making had become tortuous. Innovation and creativity was being suffocated as the company became larger and it diversified into more areas in technology. The company, fortunately, did a reality-check (after a couple of dismal quarters) and took some measures to right itself. There were large-scale lay-offs and the company changed its way of functioning altogether by splitting its businesses into verticals. Think of how you are feeling now – those of you who are just stepping into adulthood. Don’t you feel that the whole world is just waiting for you to conquer them? You are probably full of ideas and ideals, brimming with youthful energy, not caring about the competition and ready to take on rivals. You are willing to work around the clock, intent only on achieving your ambitions and fulfil your dreams and passions. Hurdles and obstacles are not roadblocks, but things over which you just need to jump higher. A start-up venture is similar. 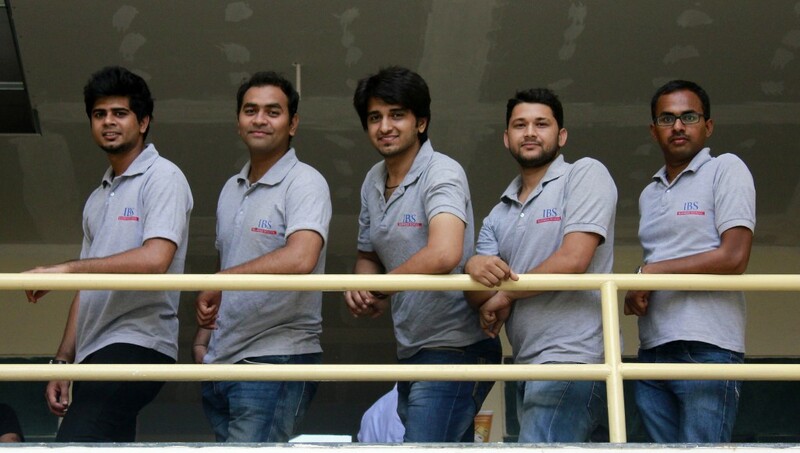 It has a vigour and vitality that is a reflection of its founders and employees. Since it is new, there are no restricting rules, the structure is almost flat and everyone is accessible to all. Intimidating and aloof cabins have yet to be built and there is a general camaraderie. The leader takes decisions on the spot and everyone participates in it. Information flows freely and horizontally. Meetings are open and everyone knows what is being discussed. Due to the transparency, there is trust. This phase lasts for a few years until the organisation starts to grow; more functions are added and there are several layers in the structure. Hierarchies develop; decision-making becomes opaque; the top boss is virtually inaccessible and bureaucratic procedures start to take the place of informal interactions and instructions. Future Group is just about getting on into middle age while HUL is long past it and is well into old age. For its chiefs to say that they want to think like start-ups, means that they want to bring back the agility, flexibility, speed in its operations and freshness in its way of thinking – that they used to have when the companies were young. It is not really possible for older, well-established companies to simplify their structure and operations beyond a point. The sheer scale of their operations precludes that. However they can (and should) bring back the originality and newness in how they think and in the way they execute their decisions. To a certain extent, large corporations can also reduce the number of decision-making layers and the channels of information flow. The head of a manufacturing unit should be able to speak directly to the shop floor supervisor, without having to go to through several intermediaries. Chains of command sometimes lengthen usually for no reason other than ego and to give importance to certain positions. You have to remember that corporations exist – not for the benefit of a few people who are managing it – but to bring products and services to the market, for the people and for the economy. That is the ultimate bottom line; corporations and their promoters should not lose sight of that fact. When you get absorbed into the corporate culture, you have to remember this and act accordingly. Though writing on this subject matter is a difficult exercise, as to predict anything about IBSAT pattern is a difficult one. However there are certain parameters on which if you work upon you can certainly improve your score. Though no hard and fast rule but on a general principles if you follow the guidance note mentioned below in this article you can use the best of your abilities and can come up with flying colors. 1. Work on Basics – Go back to basics and strengthen your base so that you are conceptually clear in the subject. 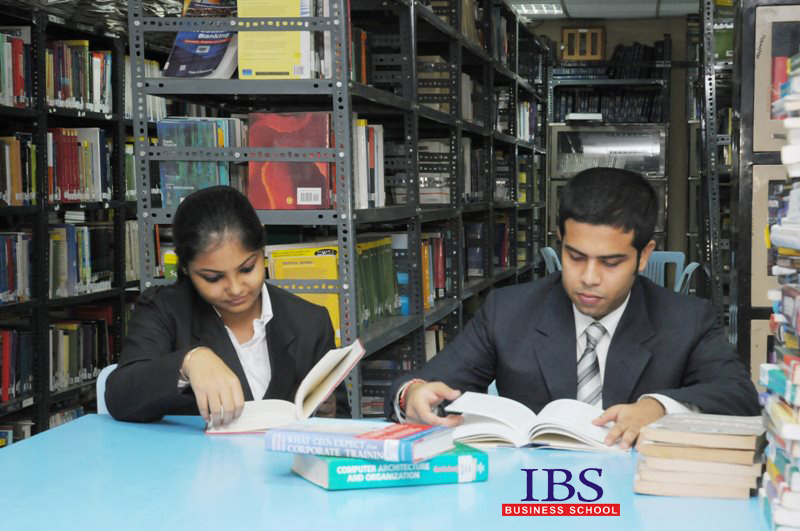 According to experts, the trend of IBSAT questions demands conceptual clarity. This is the time when you should recognize your strengths and weaknesses. Try to take a trial mock test. You may not score very high in this nascent stage of preparation, but you will know your strengths and weaknesses and strategize accordingly by focusing more on your weak areas and practice the strong areas adequately so that you don’t lose your touch . Once you are through with the basics then comes the stage of practice. 2. Maximum no of questions need to be attempted – The first cardinal rule is try to cover the maximum no of question, it does not mean that you should do the maximum no of attempts but you should not miss the easy questions, so scan the entire paper and try to hit all the easy balls. At times it happen people get struck in a question and the precious time get wasted and a person not able to cover the entire paper. 3. Accuracy – Along with attempting the maximum no of questions try to be accurate, otherwise negative marking will curb your score. Attempt only those in which at least you are 75% sure, rather than making wild guess. Even attempting mock test try to focus a lot on accuracy. 4. Time Management – Allocate Time for each section, so that at least you should not be out of the race because of minimum cut off barrier. 6. Practice a lot on quant and DI – You can improve your score on quant and DI by practicing a lot , you can attend mock test online and offline and it will help in increasing your accuracy and your speed. You need to fix a clock and try hard on speed. The mantra is first increase accuracy then speed. For increasing reading speed try to read by removing the comma . You should try to get the crux of the subject matter rather than going in great detail. For improving your vocabulary you can go through the book “Word power made easy”. 8. Use logic at times rather than solving the entire question – You at times need to judge the correct answer by Looking at the options and negating one by one on logic .identify which options not applicable rather than finding out which one is applicable. 9. Develop instincts to identify which question is difficult and need to be left out. You have to bit selective while answering the questions as you have to see you should not fall in love with any question and waste your time. You should be attentive to see that you should not leave the easy question. 10. Develop habit of calculating in mind – You should try to use your mind for calculating things rather than pen or pencil, this habit need to be developed though it takes times but help in curtailing time and improving your score. 11. Take light food on the day of IBSAT – Try to eat healthy food like lot of salad, fresh fruits, green tree, you can start this habit at least one month before, so you can remain fresh and not fell sick at any point of time. Do not take oily food or rice on the day of test as it creates drowsiness and decreases your alertness. 12. Take a good 8 hr sleep in the previous night to test day – It helps to keep your mind in perfect fit to create a good score. 13. No panic at last moment – Take care of arranging the pencil box, your admit card and try to start early for the examination center and reach well before time, so that you can avoid the risk of congestion on road or any unusual incidents. If your center is in a different city then try to reach at least 1 day in advance, so you can settle down and acclimatize yourself. 14. Time of test taking is importance – When you receive the admit card check the timing and suppose the time of test is 10 am, then place yourself everyday at 10 am to take mock test so you develop the habit of taking test at this time. 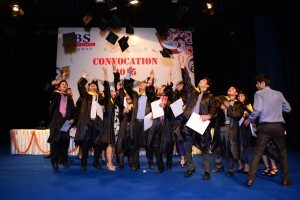 Your mind will then work at maximum alertness at this time, because you have train your mind for test for this slot. 15. 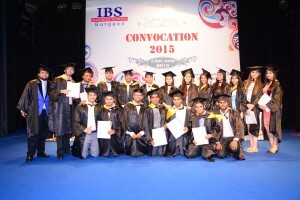 Not get disheartened with mock test score which you have appeared just before IBSAT – Every exam is different, so not lose your confidence or become sad with the mock test score, which you have appeared at the eleventh hour of examination.